For more than ten years we have been providing party food for families and businesses in Shrewsbury and the surrounding area. Our team of expert cooks at Hog Roast Shrewsbury know how to make sure that the food you give your guests looks great, tastes fantastic and is served on time. 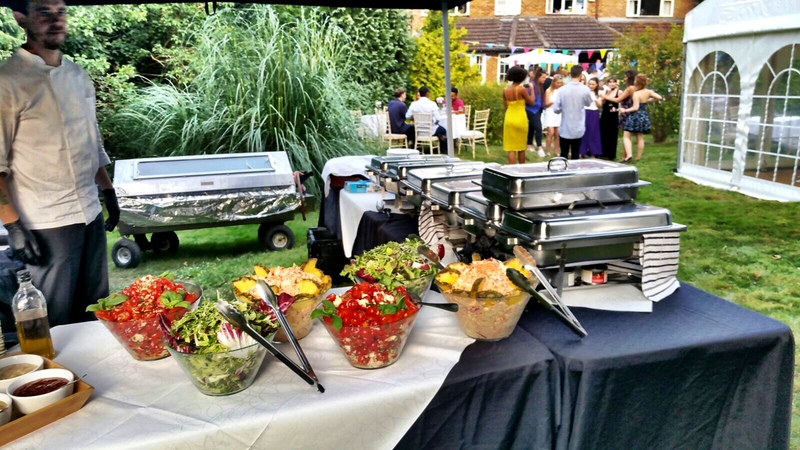 A hog or spit roast is more affordable than you may think and these days it’s suitable for any kind of occasion that you have in mind – from a wedding reception to a fancy dress birthday party, or a christening to a massive corporate event. We can also cook lots of other types of food if you prefer (including barbecued handmade burgers or smoked salmon), and we have many options for guests with dietary requirements, such as gluten-free, vegetarian or vegan. 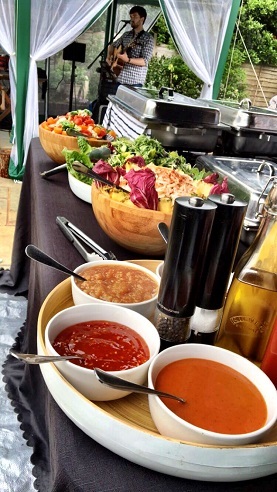 For your Shrewsbury party, we’re the wise catering choice. No matter what kind of event you are holding, big or small, casual or formal, a hog roast is a perfect option for the food. 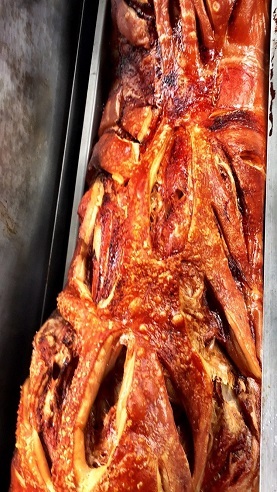 Everyone loves the taste of a succulent roasted hog; especially one cooked by the expert chefs from Hog Roast Shrewsbury. Hog roasts can be cooked and served at indoor events, as well as outdoors. It makes a spectacular centrepiece for any buffet and smells wonderful. You can be sure to draw the crowds attention with the aroma of a delicious hog roast filling the air. Alternatively, if you prefer we can roast or barbecue other meats for you, either in replace of a hog or along side. Our menus are designed to appeal to everyone, which is why we provide dishes inspired by recipes from across the world, as well as vegetarian options. At Hog Roast Shrewsbury, we only use the best ingredients – the majority of which we buy from local suppliers. So by choosing us you are also choosing to support local businesses. 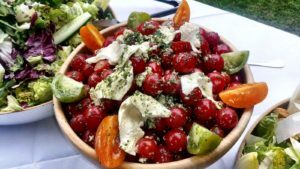 Any salads, finger foods and desserts that you have ordered will also be prepared on site at your event, so everything will be fresh and attractive for your guests. Your personal catering team will arrive at the event early. Without bothering you in any way they will set up the equipment in the desired location that we have previously discussed with you. This means you are free to enjoy your party and take care of your guests. Once your guests have finished eating, the high quality disposable cutlery and plates can quickly be disposed of, (by ourselves) which again minimises the work you have to do. We also ensure we take all of the rubbish with us, again something additional that you don’t have to worry about! There are many reasons why Shropshire’s Shrewsbury was named by Rightmove in recent years as one of the happiest places to live in the UK! Our town’s motto translates as ‘May Shrewsbury Flourish’ and we sure make sure of that, from being awarded Britain in Bloom’s Champion of Champions to being known as the healthiest high street in the country not so long ago. We actually came first in the Rightmove study for having the most polite and friendly folk in our county town, so I’m guessing that the judges have enjoyed a Hog Roast Shrewsbury feast in the past! If you’re looking for caterers to satisfy your guests’ hunger locally, that’s where Hog Roast Shrewsbury can help. 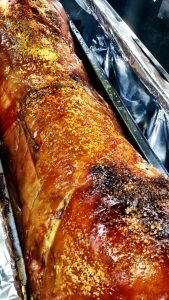 If you’re planning a party or event and have thought about a centrepiece hog roast to delight everyone invited, we will come to you and freshly prepare, cook and serve you some scrumptious pork and all the traditional accompaniments. Whether you’re after an informal menu of pigs in buns, where we stuff soft bread rolls with fresh meat, crackling, stuffing and apple sauce or a formal sit-down menu with canapés to welcome your guests and then several delicious courses, we’ll happily cater either scenario. For those who like to do the cooking for their guests we offer the option of hiring a hog or spit roasting machine from us. We will deliver the machine, gas and can even include the hog and we pick it all up from you afterwards, so all you need to do is to switch the machine on and baste the meat. It couldn’t be easier to produce a fantastic roast for you and your guests, leaving them blown away! Very affordable hire packages available. Please contact us today for a no obligation quote. Copyright © 2019 Hog Roast Shrewsbury . All Rights Reserved.